Looking for uncompromised performance on and off-road? The 4.5-inch Military Wrap Leaf Spring Suspension Lift Kit for Jeep YJ was engineered by Rough Country's Research and Development Team to give the perfect blend of off-road performance and smooth highway ride. 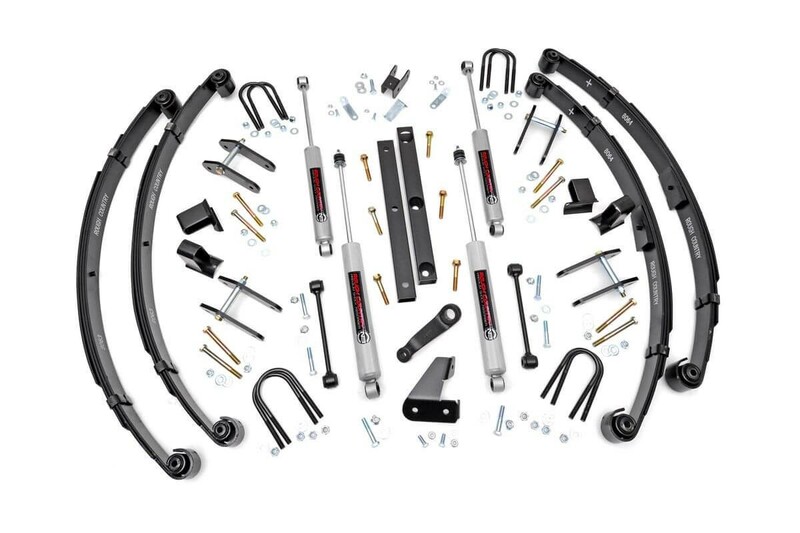 A set of application tuned, lifted military wrapped leaf springs are included in this kit, breathing new life into your existing YJ's suspension while offering a unique advantage to serious off-roaders. Military Wrap Leaf Springs have tapered leaves which allows more flex in the leaf ends while distributing loads more evenly, while giving the main leaf extra strength. Most notably, this design works as a fail safe if the main leaf ever breaks - meaning you can limp your rig home when you need to. Leaf springs are military wrapped, giving the main leaf extra strength. 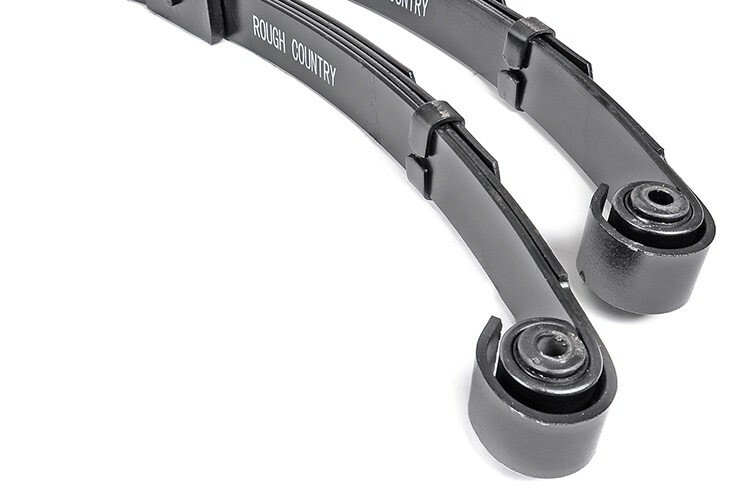 Double tapered leaf springs also allow more flex and distribute loads more evenly. Transfer case drop maintains proper driveshaft angles to avoid vibration.